Congratulations to our honor roll with distinction and honor roll students on your accomplishments during the final nine weeks of the 2017-2018 school year. It is the goal of Valdosta City Schools to set high expectations for all students and provide recognition for academic success. Students who meet challenging and rigorous academic achievement goals are rewarded each 9 weeks and recognized for their achievement by the school and district. 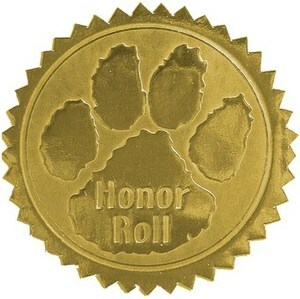 Students in grades K-2 are eligible for Honor Roll with Distinction with A’s in English/language arts and mathematics. Students in grades 3-5 are eligible for Honor Roll with Distinction with A’s in all core academic subjects. Students in grades 6-12 are eligible for Honor Roll with Distinction with a GPA of 95 or above average in core academic subjects (including academic electives). Students in Grades K-2 are eligible for Honor Roll with A’s and B’s in English/language arts and mathematics. Students in grades 3-5 are eligible for Honor Roll with A’s and B’s in all core academic subjects. Students in grades 6-12 are eligible for Honor Roll with a GPA of 85-94 average in core academic subjects (including academic electives.